The knee is a crucial joint that carries all of our weight at the stance phase of walking, making it vital for mobility. It might be a robust joint but, in extreme circumstances, a certain fragility to some of the structures can lead to injury. This post describes the most common types of knee injury and explores some of the treatment options available. Of these, the most common ligament to be injured is the anterior cruciate ligament. It’s estimated that 10,000 people in the UK suffer from this injury every year, and its incidence rate is higher in women than in men. Symptoms: A ‘pop’ sound can often be heard at the time of the ACL injury and pain often follows. As does quick/immediate swelling, limited knee movements, and instability. This is another of the most common types of knee injury. Osteoarthritis is a degenerative joint disease that is the most common form of arthritis. This is a wear-and-tear injury and, at first, usually occurs on one side of the knee. This is called uni-compartment knee osteoarthritis. Symptoms: Symptoms often develop over time but can include pain, a tenderness to the area, the inability to have full motion of the knee, a feeling of stiffness, and a ‘grating’ sensation (also known as crepitus). Tendons are fibrous tissue that connect the muscles to the bone. The patellar is a tendon in the knee that is quite commonly injured. Symptoms: One of the most noticeable symptoms is an indentation at the bottom of the kneecap, which is where the tear has happened. In addition to this, some people experience swelling alongside pain, difficulty walking, and also bruising. The menisci are two wedges of cartilage between the thighbone and the shinbone and can be torn during various activities. Symptoms: Some sufferers hear a pop during a meniscal tear, but general symptoms include pain around the area of the tear, difficulty with straightening the leg or standing, swelling around the knee joint, and pain with movement and after periods of resting. Bones surrounding the knee can all be fractured during a trauma, whether it be a high-impact trauma or something as simple as tripping over. Again, the Patella is one of the most common type of fractures. Symptoms: A fractured knee can often cause pain to the area, as well as swelling, difficulties with both straightening and bending the leg, and a deformed appearance. Knee dislocation is a result of bones within the knee coming out of place. A knee dislocation can involve one or multiple bones depending on the extent of the dislocation. Symptoms: One of the most common symptoms of knee dislocation is the visible placement of the knee, with the knee cap looking out of place. Other symptoms sometimes experienced are an inability to walk properly, swelling around the knee, a popping sensation, and also significant pain. Some people will find that their knee pops back into place straight after dislocating, but for those who don’t experience this, a doctor can pop the knee back into the right position. This is a process known as reduction. The types of knee injuries mentioned above are among the most common knee injuries, but there are certainly others that can be experienced too. Depending on the type of knee injury someone has, many common problems can be overcome by bracing the knee alongside, or instead of, surgery. The option that people can take depends on the level and extent of the injury and the resultant disability. For sports people and those whose work involves high levels of activity, surgery is usually recommended. After this, a brace can be worn to support the weakened knee as it heals. Even if you do not undergo surgery, and your career and leisure activities do not depend upon having a ‘perfect’ knee joint, bracing is commonly used to provide additional support and minimise the risk of further injury. The CTi® Custom Knee Brace is the gold standard brace, endorsed by leading surgeons and experts in knee rehabilitation. It’s designed to support any damage sustained to all ligaments whilst also providing extra control for people with rotation and instability issues. It’s used by many professional sports people, and is made to measure. For medial collateral ligament (MCL), lateral collateral ligament (LCL), and anterior cruciate ligament (ACL) injuries, the CTi® OTS brace provides extra support for all activities. Particularly active individuals who may wish to upgrade to the ProSport version, which gives the additional strength and control needed for high energy sports. With all of these braces, professional assessment and fitting are required to ensure that the correct level of control is needed. 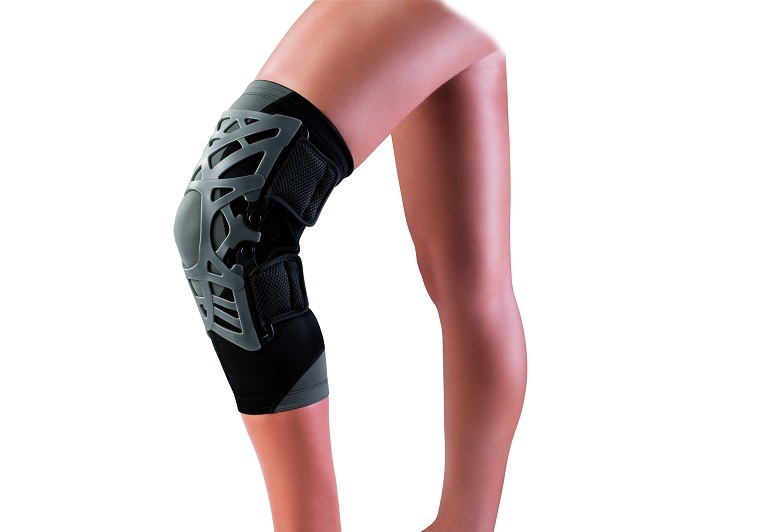 Össur’s Unloader® One brace is designed to reduce the load on the affected area of the knee. This reduces pain, increases endurance, and reduces the continual wear on the knee as you walk. It’s designed for people with mild to severe arthritis, avascular necrosis, fractures to the tibial plateau, or damage to the articular cartilage and meniscal cartilage. A new high-load brace is available for those who are overweight and wish to return to activity to improve their weight control. For unusual leg shapes, the Unloader® One Custom is made to measure for a perfect fit. As with ligament bracing, professional assessment and fitting are necessary to ensure that you get the best knee brace to suit your condition and lifestyle. For less severe knee conditions, such as inflammation of the joint, mild osteoarthritis, post-surgery weakness, meniscal tears, and mild sprains/instabilities of the MCL and LCL, the best knee braces are the Gladiator BioSkin® Front Closure and the BioSkin® Gladiator Sport. These will enable a swift return to your normal activity level and are fully adjustable. Our Orthotists at Technology in Motion are experts in the management all types of knee injury and have braces to provide the necessary control and support, whatever the complaint. Call 0330 100 1800 to book an assessment at your nearest clinic or browse our website for more information on our knee bracing solutions and the service that we provide.